I have spent the last 2 weeks prayerfully discovering what my word for 2014 will be! This is an assignment I take on each year. The word represents for me, something that God is teaching me in my life and desiring me to live out. As I focus on that one word for an entire year, I allow God to use it to transform my heart. If you followed my website this past year, you saw that my word was persevere. Often I would share what God was teaching me as I considered this word. I do like to rush the process of discovering my word for the year. It’s not that I am worried about getting it wrong. I think God can take any word that is chosen, no matter how much or how little time is taken in discovering it, and use it to transform one’s heart. I simply enjoy the process of taking time to consider and dream. I know – you may think I am just that weird!! Anyway…. that is where I am at right now….in the process of discovering my special word! Usually, by the end of January, I am off and running with my new word, excited to see all that God is going to teach me in the coming days! As I considered what to write about for this week’s “Truth Tuesday”, I thought I would share with you a process I use to find my word for the year, in case you would like to do the same. Please don’t feel you have to do it this way. Just an idea to get your mind dreaming a bit for yourself. This method is taught in a book written by Mike Ashcraft and Rachel Olsen – MY ONE WORD. Well….what do you think? 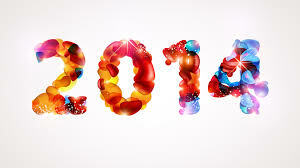 How about joining me in spending some time this week to consider what your word for 2014 might be? I would love to encourage you to read through the steps above and write out a list of words that come to your mind. Next week, I will share some things that I do to narrow down the list to just ONE word and how I take my word into my everyday life allowing the process to transform me. Started thinking about my word 2 weeks ago. I’m praying, letting it sink in to be sure it’s the word for me. Love the process! Thanks for posting the steps again Kath!